I'm completely photo obsessed, so it comes as no surprise that when I learned I could turn my Instagram pics into Magnets, I jumped at the chance! StickyGram is a company I found through a friend's pin on Pinterest and I delighted at their product. For $14.99 they'll turn 9 of your favorite Instagram images into equally sized magnets! Shipping is free and they deliver across the world. I'll admit that I was so amped to place my order, I read zero reviews lol. I paid via Pay Pal, so I do have some sense to protect myself in case something goes wrong... but it seems like a solid buy. Once the order comes in (5-12 days for US shipping) I'll crank out a review. In the meantime, check out their site and let me know what you think. 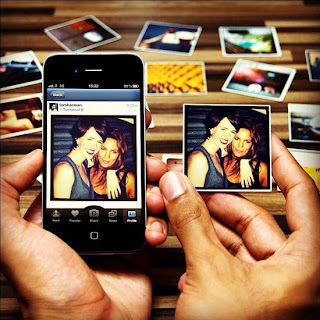 Instagram is such a hit and the opportunity to turn those pics into magnets is a great idea. I'm totally sold on this and drinking the Sticky(icky icky) Gram kool-aid. Want a Discount? Use the below code and save some cash!